Greetings, Stampers! My goodness; it took me three days to finish and post this card. Life has so many interruptions! Well, here it is, just in the nick of time for a couple of challenges. It's a special card for Mom, and actually I made two of them, one for my Mom and one for my Mother-in-law. They live in different states and will never see each other's card, but don't tell on me! 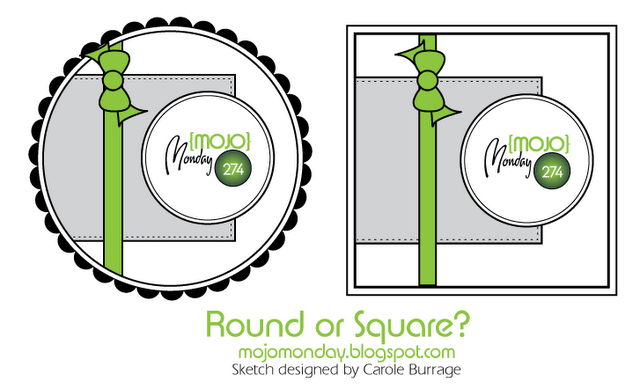 The layout is from this week's Mojo Monday sketch challenge, which has a round and square option. Just remember that oddly shaped and sized cards frequently require extra postage. Mom's worth it, though! 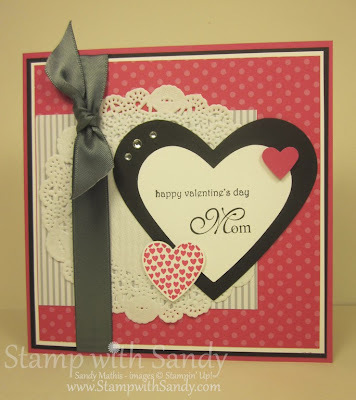 The colors are from this week's Pals Paper Arts Challenge, perfect for a valentine. By the way, their blog has a whole new look which I love. You should go check it out! 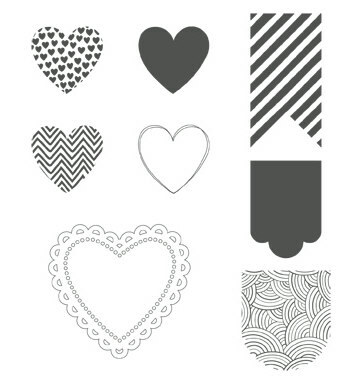 The little stamped heart full of hearts is from the new Hearts a Flutter Stamp Set from the Stampin' Up Spring Catalog. 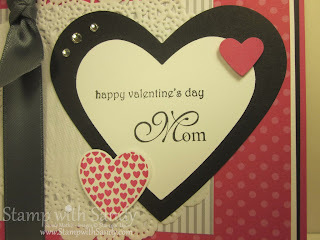 I combined greetings from two sets for the large heart, Teeny Tiny Wishes and Family Reunion. A few rhinestones on the edge of the black heart add just the right amount of sparkle. Very pretty! 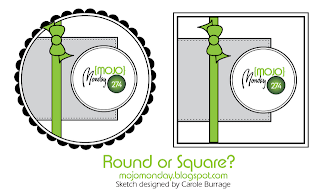 The "moms" will love it. I love that doily and those rhinestones on the heart. 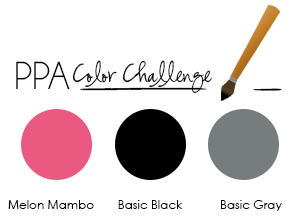 Thanks for joining us for the first challenge of 2013 at the PPA this week. This is a perfect Valentine card! I love the papers and the doily. The embellishments are wonderfully done, too! Thanks for sharing with us at Pals Paper Arts this week! Beautiful, Sandy! I love the doily, and the bling on the heart. Thanks for playing with the Pals at Pals Paper Arts!